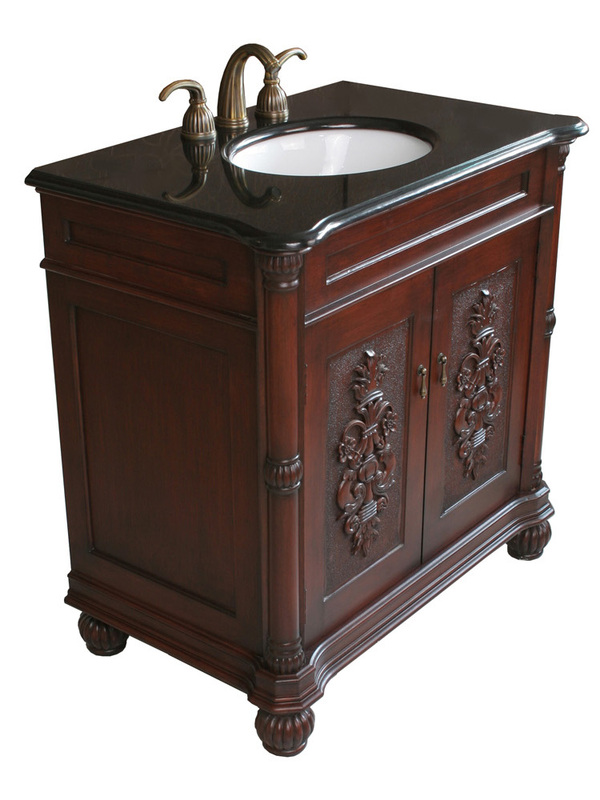 The Rutland Single Bath Vanityhas a beautifully detailed cabinet, with its relief carved doors, inset panels, and decorative posts that give the vanity a great antique look. 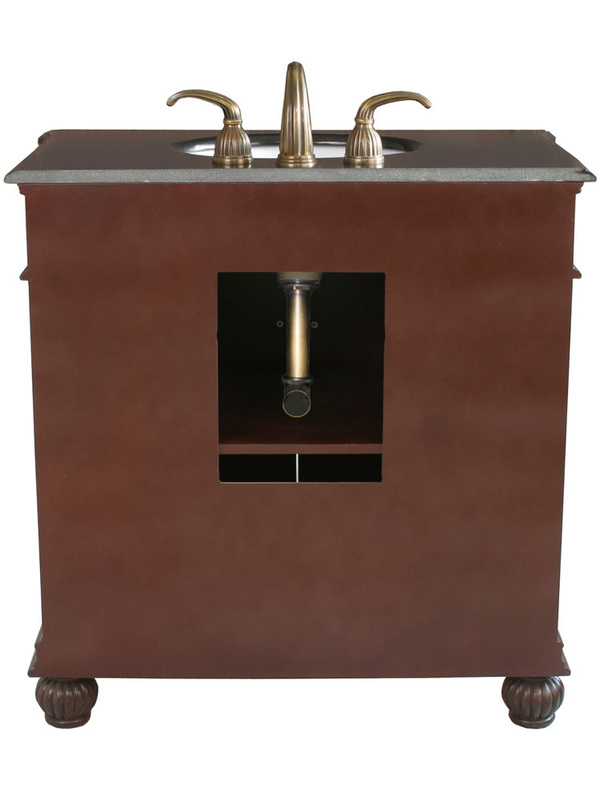 The Colonial Cherry finish and antique brass hardware creates a warm and rustic look, while the Black Galaxy counter top adds to its luxurious feel. 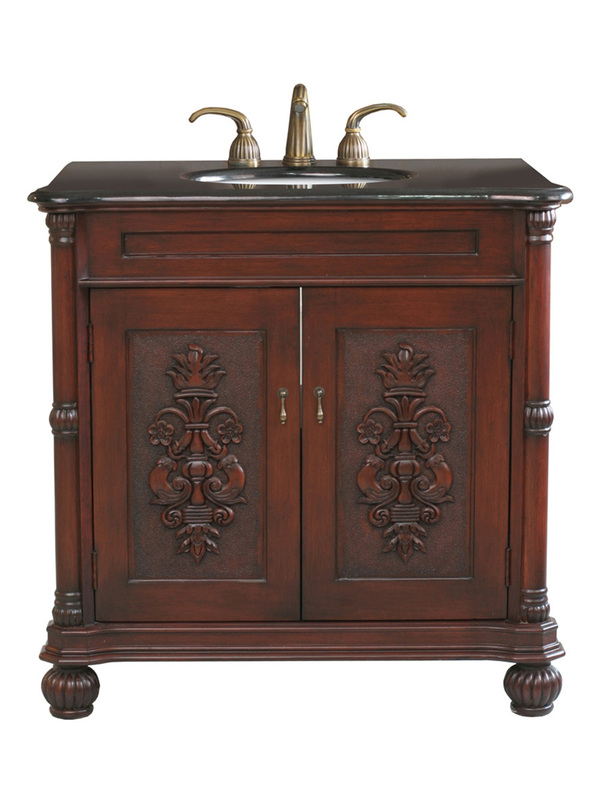 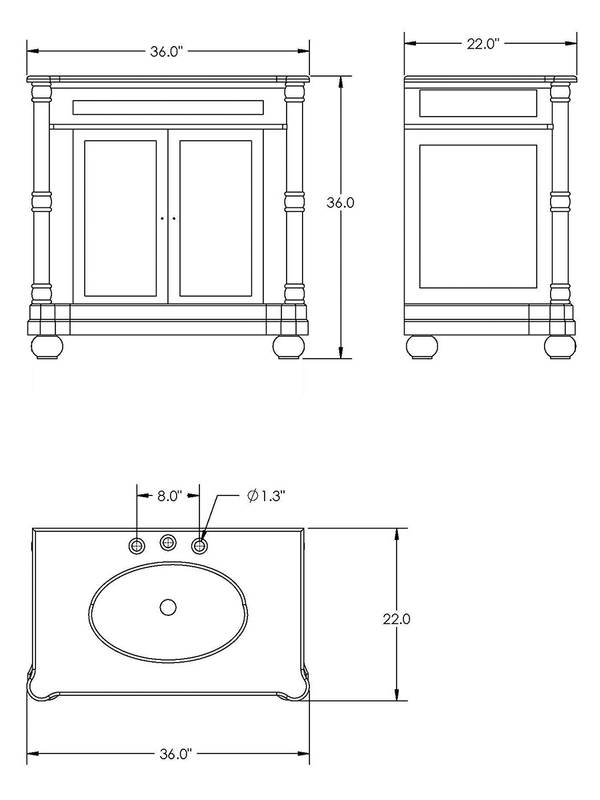 The finish is water proof, protecting and preserving the cabinet against the effects of humidity. 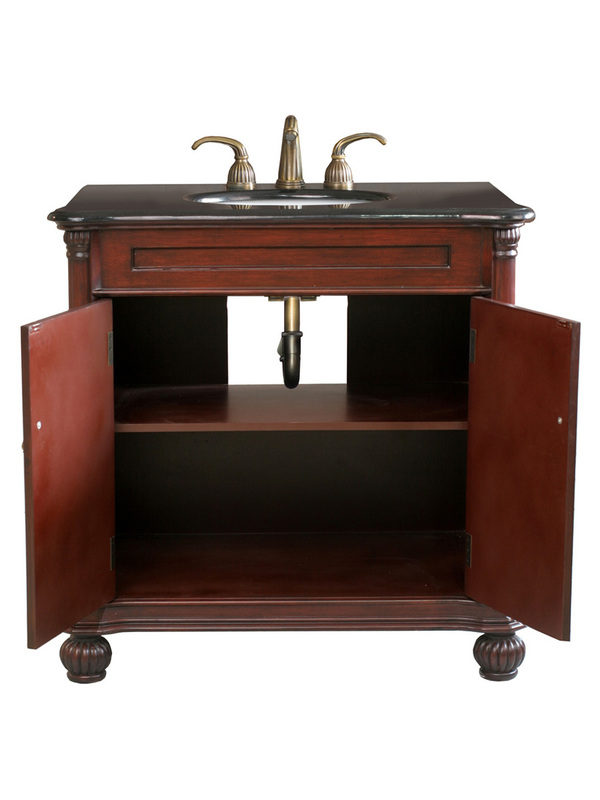 The vanity provides a single storage cabinet divided by a shelf for conveniently storing all sorts of bathroom accessories. 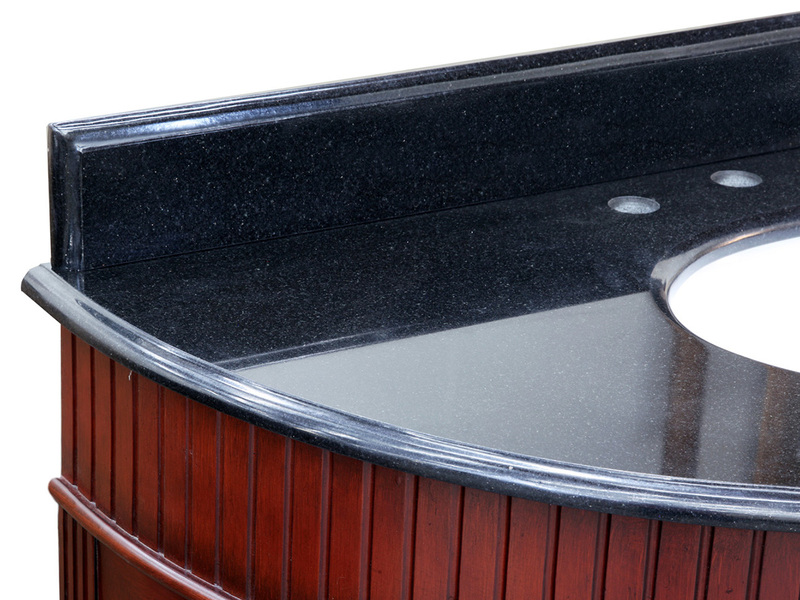 An optional Black Galaxy backsplash is available with this vanity through the drop down menu.